What if you came with me? People always say you should fear his [Jesus] judgement as he will be the judge on the last day. Personally, I think you should be super relieved and overjoyed that he will be your judge. If he is anything like he was on earth (which was the exact representation of who God is), he will find ways to forgive that you cannot even imagine. He will judge with mercy and compassion. This is the man who came to save all. Who died for all. He took the full weight of all the worst the world and humanity has to offer and he absorbed it and he looked it in the face and he pronounced love and forgiveness. Why does this idea, that the evil could be redeemed and made right, make so many people mad? I think it because most of us hurt so badly for the people (sometimes others, sometimes ourselves) that the evil have wronged that we just don’t see how it is fair for them to receive mercy. Not now; not ever. I worship a generous God who forgives (thank goodness) when I would not, who loves when I cannot, and died for all regardless of what they had done or would do. He has set about making “all things new” and “restoring all things”, including humanity. Can you imagine a world where (insert the name of your favorite bad person here), instead of growing up to lead people to death, destruction and hatred, grew up to lead people to life, wisdom and love of the other? What if all their gifts had been used in the cause of love instead of hate? Wouldn’t that be a better world? What if in the end God gives us that kind of world? What if he lets us experience that kind of love? What if the people known to be most evil were transformed into who they always should have been? What if swords are really turned to plow shares, what if the lion does lay with the lamb? What if it is like none of us were ever damaged, or hurt or never damaged and hurt another? What if all evil is consumed by good, death is swallowed up by life and we each become who we were always meant to be? What if love wins? What if as it says in 2 Cor 5 (*see footnote at the bottom of the post), Jesus actually died for ALL? What if God, through Jesus actually was reconciling the WORLD to himself? What if he really isn’t COUNTING THEIR TRESPASSES AGAINST THEM? 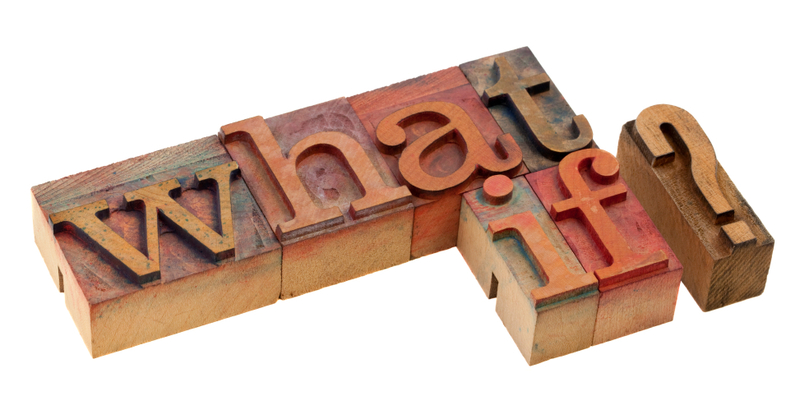 And what if, what if God actually wants to make his appeal THROUGH US? As far as I can tell from the passage, Jesus, by dying secured victory over sin and death. My husband pointed out an N.T. Wright quote and response he read online yesterday when he was proofreading my rough draft of this post. I thought it fit right in so I am going to share it. It is not the wrath of the Father against the Son, much less the wrath of God against Himself, that is satisfied on the cross; but the justice of fair-togetherness: God willingly shares in the suffering both of sinners and victims alike. God doesn’t punish Himself, the Father isn’t punishing the Son (and especially not for something someone else did that the Son didn’t do! ); but God is sharing in the suffering of punishment. I like that. I like to at least consider that there will be more people in on this thing we call redemption than we think. Perhaps in the future when I am confronted by wrongdoers (as my friend called them), I might change my responses to, “Won’t he/she be surprised in the end?” and mean surprised by forgiveness. Or maybe, “Vengeance (repayment exacted for an injury or wrong) belongs to God” and remember that God tells me not to repay evil with evil. And rather than say, “I hope they burn in hell,” perhaps I will learn to say, “I hope they become who they always should have been.” I’m not there yet. I have a ways to go. What if you came with me? *For the love of Christ controls us, because we have concluded this: that one has died for all, therefore all have died; and he died for all,that those who live might no longer live for themselves but for him who for their sake died and was raised. From now on, therefore, we regard no one according to the flesh. Even though we once regarded Christ according to the flesh, we regard him thus no longer. Therefore, if anyone is in Christ, he is a new creation. The old has passed away; behold, the new has come. All this is from God, who through Christ reconciled us to himself and gave us the ministry of reconciliation; that is, in Christ God was reconciling the world to himself, not counting their trespasses against them, and entrusting to us the message of reconciliation. Therefore, we are ambassadors for Christ, God making his appeal through us. We implore you on behalf of Christ, be reconciled to God. For our sake he made him to be sin who knew no sin, so that in him we might become the righteousness of God. Sin has already been atoned. Once, for all. The question addressed in this book is simple and single: Will God forever keep alive in endless conscious torment those who are condemned to hell, or will all who go there finally die, perish, be destroyed, and forever cease to be? Our answer must come from the canonical Scriptures, the authoritative Word of God and faithful witness to Jesus Christ—through whom the Father is perfectly revealed in human form. We have examined, in context, biblical passages from Genesis to Revelation that speak to this subject. Throughout the course of our journey, a clear and consistent picture has emerged.1 According to the Scriptures, the redeemed will be raised immortal, receive God’s public acknowledgment and verdict of acquittal, and live forever with God in new heavens and new earth. The wicked also will be raised, but “unto condemnation” and not unto “eternal life.” They are not immortal by nature, and God does not give them immortality in the resurrection. Instead, God expels them from his presence to a place where there is weeping and grinding of teeth. Scripture calls this place hell and the lake of fire. It is the site of the second death, that ultimate, infinite capital punishment that destroys the whole person forever. Here Jesus’ warning becomes reality: God indeed destroys both soul and body in hell. 1 There are approximately one thousand verses in the Bible from Genesis through Revelation that relate, in varying degrees of clarity, intensity, and certitude, to the final extinction of the wicked. If we are willing to define biblical figures and ciphers by their biblical usage, I believe that there are only two passages that are difficult to reconcile with extinction. Both texts are in Revelation (14:9–11; 20:10) and both are heavily symbolic. Of course, the advocates of unending conscious torment do not share my evaluation. I am not sure if this is your idiom, but over here we would use “get it in the end” to mean “understand in the end” rather than “get just deserts in the end”. I too believe its simply up to Jesus who gets saved. I can not see how he could create a being in his image in order to punish it eternally. But I leave it up to him to decide and believe he is good. I can think of no better or fitter judgment than that everyone who has caused harm should come to completely see and fully understand the depths of the harm they have caused. I suspect that for those who are willing to thus see and understand, this will be the final judgment, from which they will cry out for forgiveness and be forgiven. And for those who refuse to have their eyes opened to see in this way, there will be final and complete destruction.